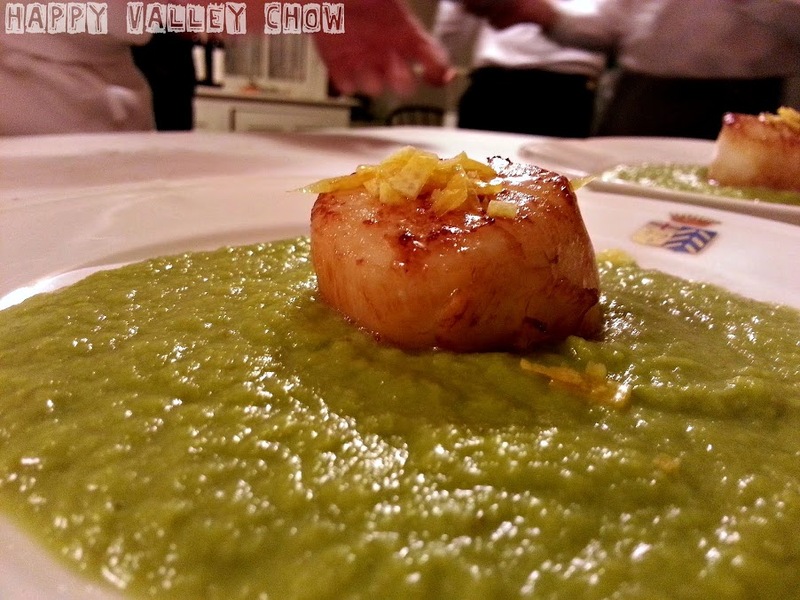 About 2 weeks ago, I posted about the eight course dinner I catered at The Boal Mansion. Over the next few weeks here I'm planning on providing some of the recipes from that menu, since it went so well. This was the entree portion of the meal, scallops, asparagus puree, lemon zest, and black truffle sea salt. I feel that is worth noting again how incredibly amazing the black truffle sea salt smelled. When we opened up the bag, it filled the entire room and was just an incredibly pleasing smell. It also brought a really unique flavor to the scallops. It also paired really well with the lemon zest. All together, I was really pleased with how this course came together. I'm always a little apprehensive when cooking scallops, cause the last thing I want to do is over cook them. But, I remained vigilant in watching them, so I got a nice sear and doneness on them. This recipe may look involved but it is really quite simple. Enjoy!